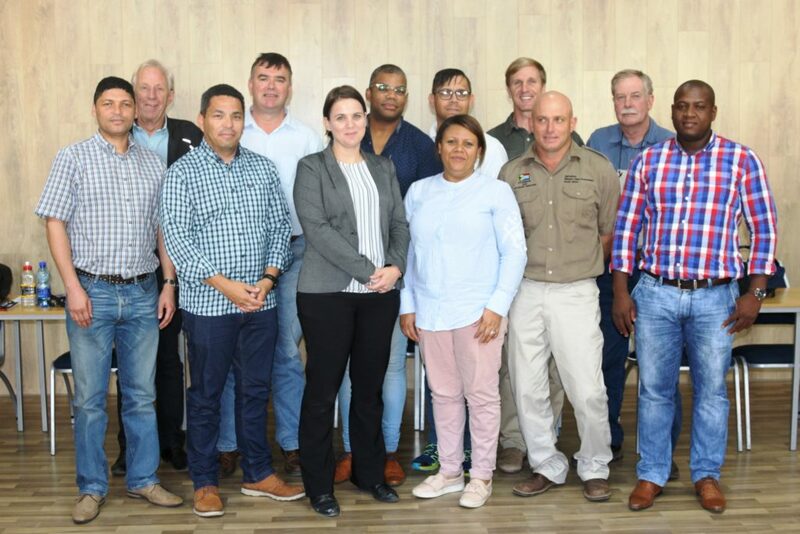 The Garden Route District Municipality (GRDM), in collaboration with the Western Cape Department of Agriculture and the South Cape Economic Partnership (SCEP), on 9 April 2019, held a Garden Route District Inter-governmental Agriculture Workshop. The engagement was held at the Outeniqua Experimental Farm in George and representatives from government departments and municipalities in the Garden Route district attended the event. 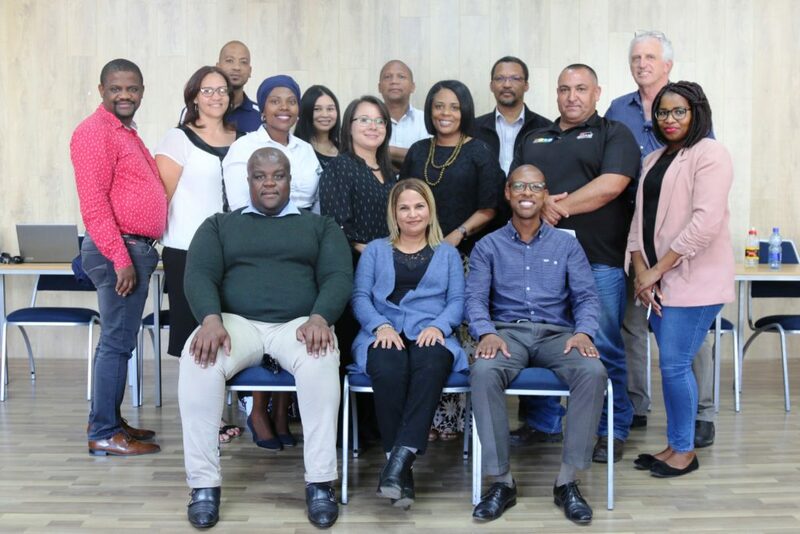 Representatives from municipalities in the Garden Route district, together with Mr Paul Hoffman, Programme Manager of the South Cape Economic Partnership (back, right), who participated in the workshop. In setting the scene, Ms Natalie Raubenheimer, Senior Local Economic Officer at the GRDM, shared the municipality’s perspective in terms of agriculture development in the district. Raubenheimer also shared the objective of the workshop, which is to embark on a district process of effective stakeholder collaboration, including knowledge and resource sharing, which will ultimately lead to “higher productivity on farms, orient farming activities commercially, and strengthen the link between farming and other sectors of the district economy” – all these factors will be of benefit to emerging farmers. Representatives from the Government Departments who participated in the Agriculture Workshop. Mr Clyde Lamberts, Deputy Director for Farmer Support and Development at the Western Cape Department of Agriculture’s in the Garden Route, shared the Department’s regional approach towards the development of the agriculture sector. Lamberts said: “If we share our funds and expertise, we will make a success of agriculture in the Southern Cape, as the area has many opportunities to offer”. When referring to challenges faced by the Karoo, he said: “Fifty (50) percent of the national veld which is part of an extensive sheep production hub, got destroyed due to the prolonged recent drought, of which many parts do not have the potential to recover in the short term. He added: “As a team, we can make a change in our community now, but we need to find synergy, by identifying good products that are sustainable and resilient to grow”. During the plenary session, municipal representatives identified the various resources available in their respective municipal areas and the discussions led to the topic on how these resources can be streamlined for this regional approach to take effect. Furthermore, government representatives shared and elaborated on their respective organisations’ involvement and contribution towards the development of the regional agricultural sector in the district. Representing the Small Enterprise Development Agency (SEDA), Ms Lianda Landman during the plenary session said, that the best way in which SEDA can provide support to Agriculture in the Garden Route district is through Agro-processing. She furthermore highlighted that the organisation can also assist with the application of funding for people involved in agro-processing and/or exports, to attend various international agro-processing shows/exhibitions and that SEDA will assist with these applications to the National Department of Trade and Industry. Mr Richard Dyantyi, Expanded Public Works Manager at GRDM, touched on the issue of the clearing of alien invasive species and shared the municipality’s challenges in this respect in the Garden Route. When mentioning these challenges, especially with regards to properties of Council, he said: “Access to these properties is a challenge, as Council properties are based within the centre of other stakeholders’ properties. The municipality needs to get the buy-in from these land owners to adhere to the National Environment Management Biodiversity Act, Section 76. GRDM will share the draft plan with the stakeholders for their comments and that the Breede Gouritz Catchment Management Agency (BGCMA) will assist GRDM to register for water rights of Council properties. In realising that this workshop is a stepping stone towards a bigger process that needs to be accessed, many thought that commercial farmers and other essential government departments, should be included in future discussions of this nature. The need for all municipalities to do more in-depth analysis of their available land was also identified. Some officials that were present recalled the words of Executive Mayor of GRDM, Cllr Memory Booysen, when he, at more than one occasion, last year, said: “We do have properties, but we do request people to come and engage with the District Municipality”. Ms Melanie Wilson, Manager for Economic Development and Tourism summarised the discussions of the day and Executive Manager for Economic Development and Planning, Mr Lusanda Menze, formally thanked Mr Paul Hoffman from South Cape Economic Partnership for steering sound discussions throughout the session, as well as the colleagues from B-municipalities and government departments who took part and engaged in the discussions as key stakeholders of the agricultural sector.